And since it's springtime and Texas can be quite hot, we wanted to make sure our style was just right for the weather. Luckily our friends at Rockport hooked us up with the right shoe wardrobe for the occasion. In fact our crew over at OneUpped Magazine teamed up with Rockport for an awesome giveaway of a full wardrobe of spring shoes, so check that out if you're looking to up your spring footwear. While we were in Austin we thought, "This is just too cool of a trip to not write about," so we decided to keep a travel journal detailing our time in the city, and talking about some of our favourite sites and spots from around town. I love history, it's one of my favourite things about traveling; you get to learn about the culture and historic moments of cities and countries around the world. Jenna is a fan of architecture and so she loves seeing how structures and buildings are shaped by various cultures and societies. So now you see why it only makes sense that we kicked off our trip with a taste of Texas history. The first stop was the Capitol Building. Located on Congress Ave in downtown Austin, the historic Texas State Capitol was completed in 1888 and houses the offices and chambers of the Texas Legislature and the Office of the Governor. It was added to the National Register of Historic Places in 1970 and was officially recognised as a National Historic Landmark in 1986. 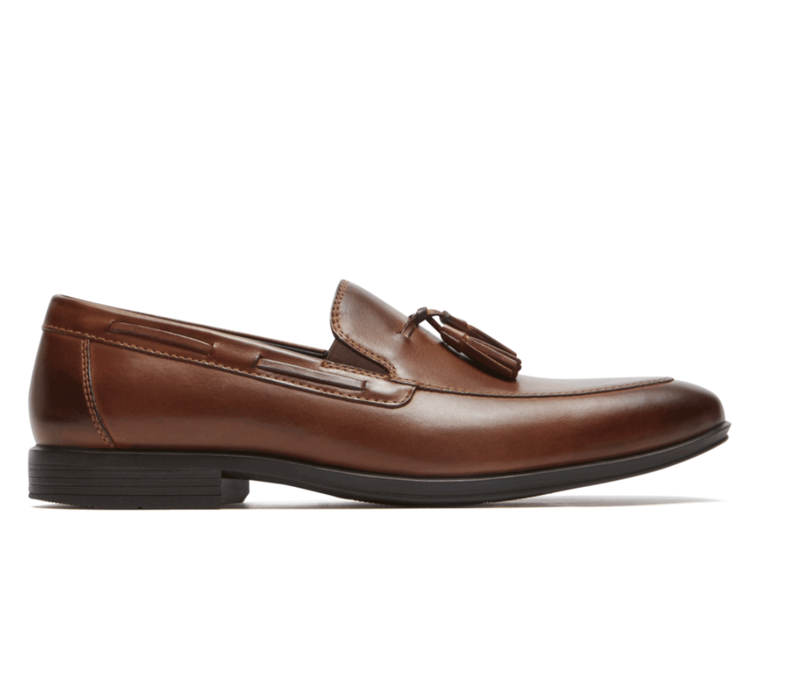 Carlos is wearing the Style Connected Tassel Loafer, which adds a modern sophistication to his style without sacrificing comfort. Jenna is wearing the Cobb Hill Gabby Bootie, an easy go-to shoe with a bohemian charm. Available at Rockport.com. Austin is nothing if not artistic, so we were excited to get a taste of the city's creativity. The Greetings From Austin Mural first adorned this wall on First Street in 1998. It was created by artist Todd Sanders and friend Rory Skagen, who decided to recreate an iconic Austin postcard on a large scale in order to add some positive vibes to the neighbourhood, which at the time was declining. In 2013, Sanders kicked off a restoration project for the piece, along with help once again from Rory Skagen and Creative Action Colour Squad. Other must-see Austin street art includes the famed I Love You So Much mural outside of Jo's Coffee. In 2010, local musician Amy Cook grabbed a can of red spray paint and tagged the wall with the now famous line which was a love note to her partner Liz Lambert, majority owner of Jo's. It was actually vandalised a few years later, but the couple restored the mural to its original awesomeness. Carlos is a chukka boot fan, and the Jaxson Chukka is a perfect pick for a day of exploring. Available at Rockport.com. We love to travel, yeah, but we also love to shop. So we hit up Congress Avenue - the hot spot for Austin shoppers - which features stores that house everything from heritage to vintage. You can't wander around Texas without a hat, and our favourite spot to pick one up is Goorin Bros. 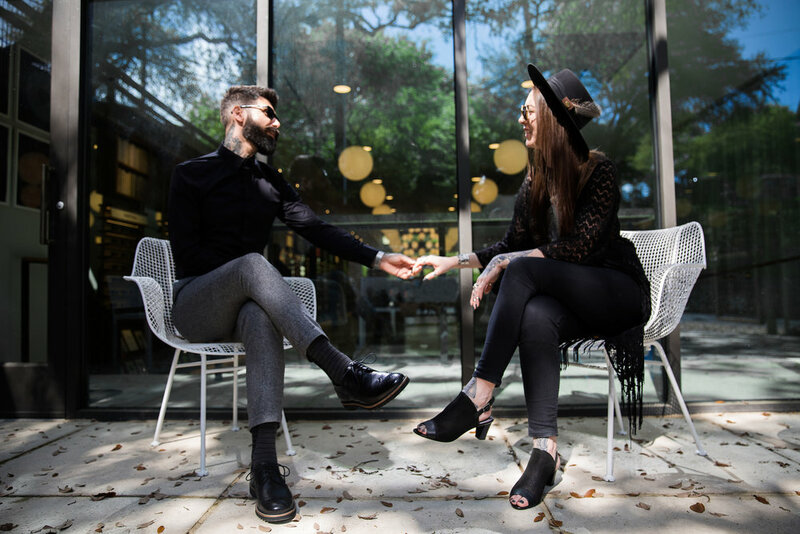 The historic Goorin Bros on South Congress is a company that has been around for over 100 years, and their Austin store is located in one of the coolest spots in the SoCo district of the city. From 10 gallon hats and fedoras to flat caps and newsboys, Goorin Bros is the place to score a sweet lid in Austin. And let's be honest, you can never have enough hats. And that Texas sun is bright, so you really can't wander around without a sweet pair of shades, hence our next pit stop at Warby Parker. That’s a lot of strolling; A full day of shopping requires a stylish yet comfortable footwear option, and Carlos’ Marshall Wing Tips and Jenna’s Audrina Sling Boots are just that. Available at Rockport.com. Time to take five and grab some grub! You may know that Jenna and I are both vegas, so we initially thought that a state known for its BBQ might make it tough for us to find some good vegan meals. 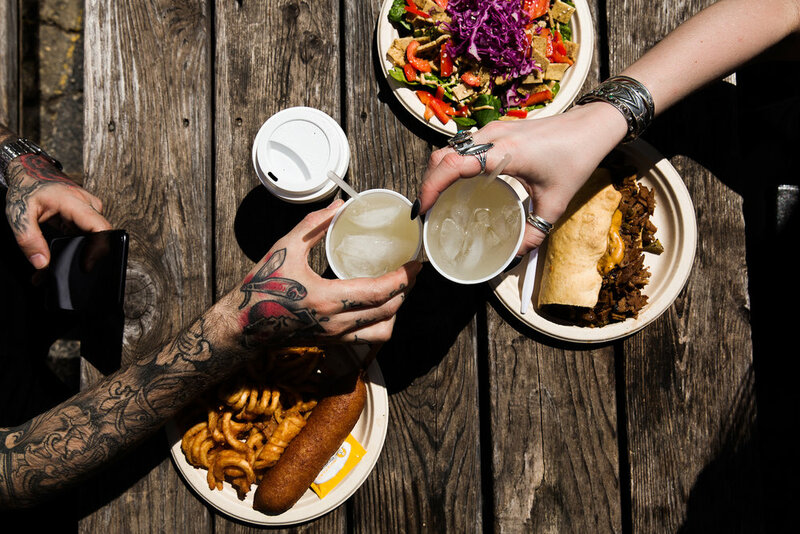 Not the case at all; The Unity Vegan Kitchen is an Austin staple, offering everything from sandwiches and waffles, to vegan lasagna. Absolutely delicious! Carlos opted for the comfy classic Total Motion Penny Loafer for a day of exploring. Jenna opted for the high heeled Cobb Hill High Vamp, which has a conforming footbed making it perhaps the most comfortable heeled sandal you’ll find. Available at Rockport.com. The fun part about Austin is that you can go from shopping on Congress Avenue to enjoying the sun and nature at one of the city's many parks and lakes. One of the most famous and popular spots in the city, Zilker Metropolitan Park, is known as "Austin's most loved park." In 1876, Andrew Jackson Zilker relocated to Austin with the interest of becoming a banker and a businessman. He ranched a 40 acre piece of land, and in three separate occasions in 1918, 1923, and 1931, Mr. Zilker gifted off his entire ranch - which includes the area now known as Barton Springs. In 1934, the park was officially named Zilker Park. 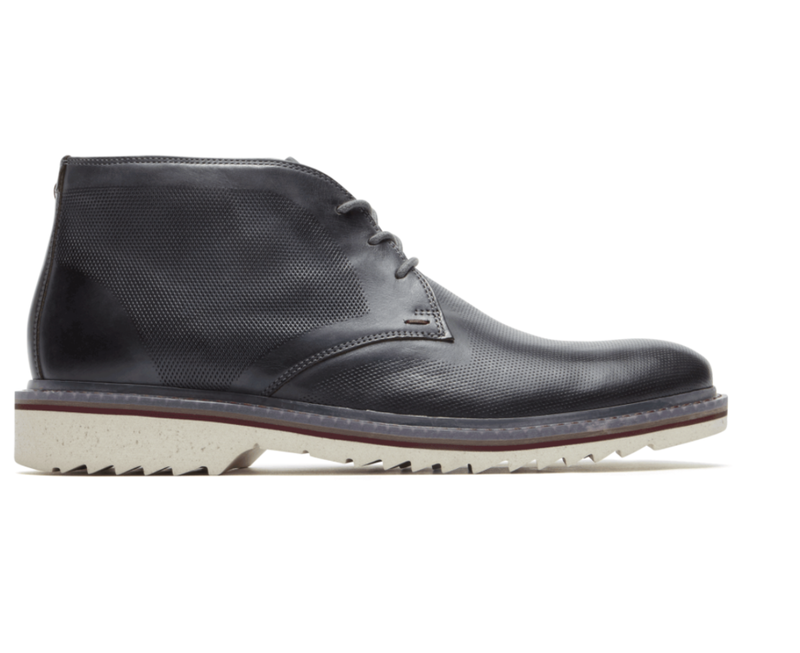 Exploring the outdoors requires a versatile shoe that can withstand the elements. Carlos is wearing the Summer Sea 2-Eye Boat Shoe which keeps you active, dry and comfortable. 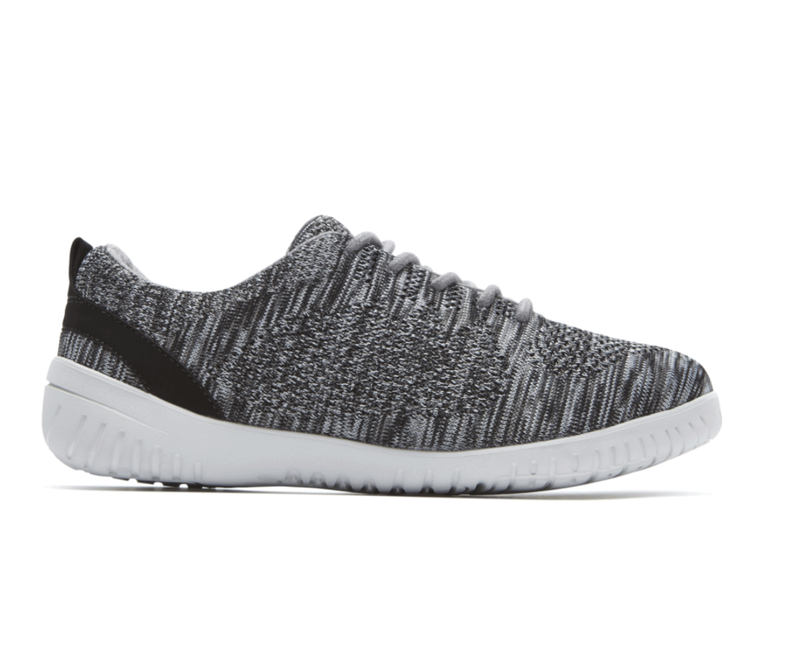 Jenna opted for the breathable Raelyn Knit Tie Sneaker. 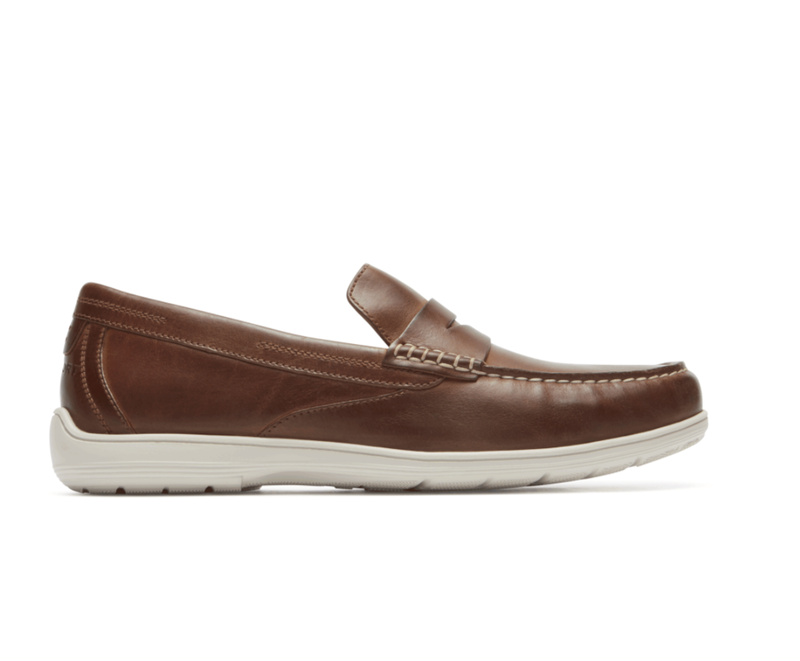 Available at Rockport.com. Austin is a cool city, and definitely one we will be returning to soon! There's so much to do and see that one trip really isn't enough to cover the whole town, so here's to hoping there's an Austin Travel Journal Part 2 coming in the near future! Thanks for reading, we hope you guys liked our documentary of the trip, and stay tuned for more cool content coming soon!